Wiremold 2000 Series Tamper resistance multi-outlet system with alternating USB, has current rating of 15-Amps and voltage rating of 125-Volts. This system accommodates conductor of size 12-AWG THHN. Multi-outlet system in black color, features steel raceway. Compact and low-profile design installs in tight locations while offering multiple power and USB charging connections. Tamper-resistant receptacles of system avoid the insertion of foreign objects into receptacles while minimizing the risk of shocks or electrocution. Receptacle spacing accommodates bulky AC adapters. Multi-outlet system with 9-Inch center spacing, has three single receptacle outlets. 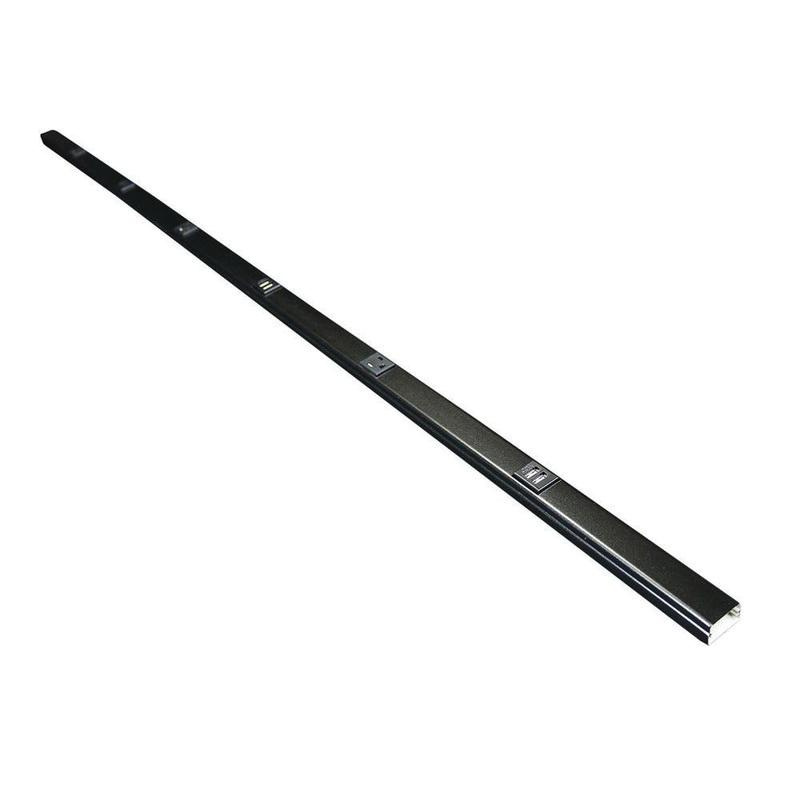 It measures 5-ft x 1-9/32-Inch x 3/4-Inch. Multi-outlet system is UL listed.